It has been another week of graft although we are yet to see some of the fruits of these efforts. Keith has spent quite a lot more time over at Embsay in his efforts to achieve a satisfactory seating of the regulator box on the smokebox tubeplate. Some unevenness on the surface of the tubeplate is causing packings to be blown out at only 5 psi. Some Taylor (brass corrugated) sealing rings were ordered on Wednesday which will be used once Keith is happy with his work in the smokebox. 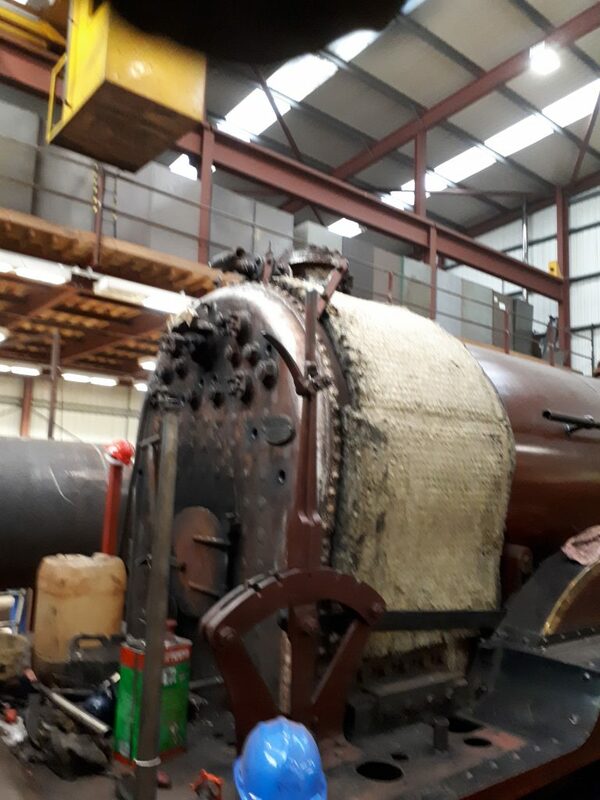 FR 20’s front spectacle plate was removed on Wednesday with the help of the workshop crane and John Dixon continued the process of removing both the boiler cladding and the hand rails on Friday. Fred cleaned up some of the components that had been removed on his appearance on Friday. Adrian and Howard continued their work on Caliban and Roger painted the backs of the wheels. 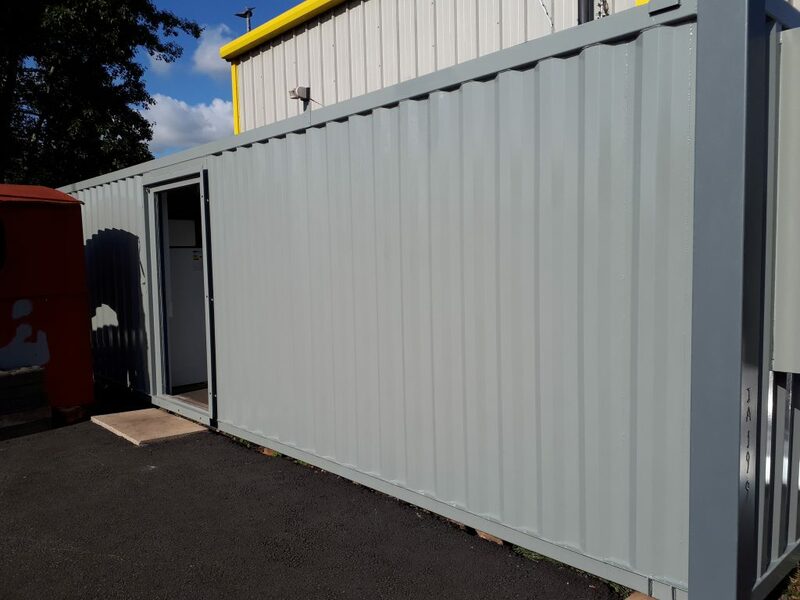 Tim finished painting the west side of the mess hut and it is hoped that the south end and some of the protruding east side can be painted this next week. John Davis and Paul Newton continued their work on the L&NWR bench seat, which was appreciated at the weekend by the daughter of the gentleman who had originally donated the bench to the RSR’s museum. She now looks forward to seeing the finished restoration when she returns in a couple of months – no pressure, then, chaps! Mike and Paul Balshaw have been continuing their work on de-mystifying the electrics on the former FRT RMB with the aim of getting the fan and lights to come on at the flick of their respective switches. Finally, those who have followed our locos around the country in campervans have long understood the necessity of taking along a stock of duct tape and WD40: the duct tape to be applied to things that move, but shouldn’t, and the WD40 to be applied to those items that should move but don’t. It was heartening, therefore, to learn that, when the International Space Station (ISS) sprang a life threatening leak after a collision with some galactic debris this week, the astronaut turned to their own supply of duct tape to seal the leak! Sometimes the simplest of solutions are the best.